If there was a significant demand shock, the world economy slowing precipitously, one would expect a closer tracking of the two. That this did not take place, offers a prima facie case that decline in oil prices is more about an increase in supply than a drop off of demand. This runs contrary to some media stories that have see(n) weak demand as the key causal factor. 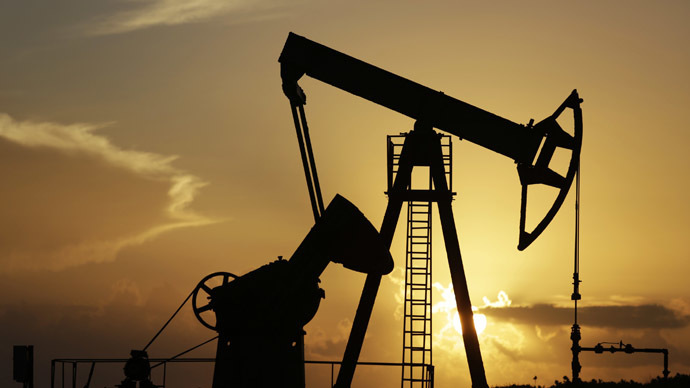 According to the report by Marc to Market, the price of oil fails to track the industrial metals index. It dropped significantly against the metal index, something not quite consistent with expectations. What really happened in the last 6 months regarding the precious oil? Saudi Arabia seems adamant to depress prices by increasing output instead of reducing it to prop up prices. The mighty oil producer races ahead for low oil prices at the expense of putting the country into the largest trade deficit on record? It goes against basic economics. The only conclusion for this “irrational” action is that there is an agenda behind it. Taking into consideration that the dip in prices occurs during the same period that Russia was cornered into a financial precipice by US-led sanctions, a logical conclusion is that oil prices could have been manipulated to hurt the oil-exporting Russia. Saudi Arabia could be working in cahoots with USA to put further financial stress on Russia. This would be logical only if the Saudis are indeed working together with the USA. Another theory is that Saudi has departed from its close alliance with the USA and is now ditching the petrol-dollar. In recent years, the Saudis have been nurturing trade ties with China. This happens when USA is pipped to become a nett exporter of oil from massive fracking programs. USA is thus in serious competition with the Saudis. In retaliation, the Saudis are taking the short-term hit to force out the marginal fracking companies that are banking on high prices of oil above $60. Many fracking projects are highly leveraged with huge exposure to junk bonds. As oil prices fall, the domino effect on junk bonds defaults could sweep in swiftly, wiping put these marginal producers. Not only will the junk bond holders be hit, the cascading effect on the whole financial pack of cards may soon start falling down (read more: Oil price slump to trigger new US debt default crisis as Opec waits). Where does this oil game leads? Nobody really knows how this high stake-game will play out. As long as Russia holds out, the ultimate loser may be the USA. The Chinese must be grinning from ear to ear as they watched the fire-fights being forged between the super-powers and oil magnates. This entry was posted on January 12, 2015, 10:09 pm and is filed under Politics, World. You can follow any responses to this entry through RSS 2.0. Responses are currently closed, but you can trackback from your own site.